Students at the U.S. Air Force Academy at Colorado Springs are being taught to stop scoffing at the mention of UFO’s or “flying saucers” and to keep an open mind on the subject. This was made clear last Thursday in an interview given by Major Stewart Kilpatrick, deputy Director of Public Information of the Air Force Academy, Colorado Springs, to the Lemoore Advance in a lengthy and exclusive phone interview. “Because so many of our readers are interested personally in aircraft, The Advance sought to verify what appeared to be exaggerated claims and somewhat on the unbelievable side. This despite the reported sightings of some strange craft over Lemoore by several witnesses a few weeks ago. (2) Why haven’t there been accidents which would have revealed their presence? (1) We may be the object of intensive sociological and psychological study. In such studies you usually avoid disturbing the test subjects’ environment. (2) You do not contact a colony of ants – and humans may seem that way any aliens (variation: a zoo is fun to visit, but you don’t ‘contact’ the lizards). “Introductory Space Science” closes the chapter with the wish expressed that renewed extensive investigation be given to the possibility of UFO’s. This will require expenditure of a considerable sum of government funds, it explained, and in the present public attitude of scorn and ridicule whenever “UFO’s” are mentioned, such possibility seems almost hopeless the chapter laments. As most people know, the Dr. Eugene U. Condon investigation was closed down by the Pentagon and no present official scientific investigation is now operating in this field. In 1966 we talked with six different Air Force pilots at Travis Air Force Base, who claimed to have seen UFO’s but stated they did not dare report them for fear of extreme ridicule. At least in 1970 this Air Force attitude seems to have changed as indicated by Major Kilpatrick interview with The Advance. Lemoore’s representative at the Colorado Springs Academy is Steve (Moon) Mullens, former basketball star on the Tiger team, and alumnus of Lemoore High. We are asking him his opinion of his science text’s presentation of the so called UFO’s. In reference to your recent inquiry to the Air Force Academy concerning Unidentified Flying Objects (UFO’s), the following facts are provided for your information. The subject of UFO’s is examined briefly at the end of an Academy selective course, Physics 370, which usually attracts approximately 20 students per semester. The UFO subject falls under the course objective of discussing all observable or reported physical phenomena occurring from the surface of the sun to the surface of the planets. When the UFO subject was first included in the course, the subject served, from an academic point of view, to illustrate that when contradictory data are available, the best course is to keep an open mind and search for further data. The subject remains an excellent vehicle to discuss the implications and applications of many basic physical laws to “observed” phenomena. The source of recent news media stories concerning the study of UFO’s at the Air Force Academy was an out-of-date chapter in the course text entitled “Introductory Space Science”, a two-volume, 470-page unpublished work printed in a spiral notebook by the Academy for classroom use. The last chapter in the second volume was a 14-page chapter entitled “Unidentified Flying Objects”. When this chapter was written and printed in 1968, the Air Force was still collecting reports of UFO sightings under Project Blue Book and sponsoring the investigation of UFO’s by Dr. E. U. Condonof the University of Colorado. The Condon Report was completed in early 1969 with the general conclusion that nothing has come from the study of UFO’s in the past two decades that has added to scientific knowledge and that further extensive study of UFO’s probably cannot be justified in the expectation that science will be advanced. In light of these developments, the in-class content of the course was changed to present orally the conclusions of the Condon report and the reasons why the Air Force cancelled Project Blue Book. It was considered uneconomical to reprint the entire second volume for such a limited number of students until the fall of 1970. Beginning with the 1970 fall semester, a revised updated chapter entitled ‘Unidentified Aerial Phenomena” has been substituted for the old chapter so that the text now follows the oral in-class presentation on this subject. For your further information we are enclosing a copy of (1) the old Chapter 33, which is no longer being used and (2) a copy of the new, current Chapter 33 now being used by students of Physics 370 beginning with this fall 1970 semester. What is an Unidentified Flying Object (UFO)? Well, according to United States Air Force Regulation 80-17 (dated 19 September 1966), a UFO is “Any” aerial Phenomenon or object which is unknown or appears to be out of the ordinary to the observer.” This is a very broad definition which applies equally well to one individual seeing his first noctilucent cloud at twilight as it does to another individual seeing his first helicopter. However, at present most people consider the term UFO to mean an object which behaves in a strange or erratic manner while moving through the Earth’s atmosphere. That strange phenomenon has evoked strong emotions and great curiosity among a large segment of our world’s population. The average person is interested because he loves a mystery, the professional military man is involved because of the possible threat to national security, and some scientist are interested because of the basic curiosity that led them into becoming researchers. The literature on UFO’s is so vast, and the stories so many and varied, that we can only present a sketchy outline of the subject in this chapter. That outline includes description classifications, operational domains (temporal and spatial), some theories as to the nature of the UFO phenomenon, human reactions, attempts to attack the problem scientifically, and some tentative conclusions. If you wish to read further in this area, the references provide an excellent starting point. What we will do here is to present evidence that UFO’s are a global phenomenon which may have persisted for many thousands of years. During this discussion, please remember that the more ancient the reports the less sophisticated the observer. Not only were the ancient observers lacking the terminology necessary to describe complex devices (such as present day helicopters) but they were also lacking the concepts necessary to understand the true nature of such things as television, spaceships, rockets, nuclear weapons and radiation effects. To some, the most advanced technological concept was a war chariot with knife blades attached to the wheels. By the same token, the very lack of accurate terminology and descriptions leaves the more ancient reports open to considerable misinterpretation, and it may well be that present evaluations of individual reports are completely wrong. Nevertheless, let us start with an intriguing story in one of the oldest chronicles of India…. the Book of Dzyan. The book is a group of “story-teller” legends which were finally gathered in manuscript form when man learned to write. One of the stories is of a small group of beings who supposedly came to Earth many thousands of years ago in a metal craft which orbited the Earth several times before landing. “These beings lived to themselves and were revered by the humans among whom they had settled. But eventually differences arose among them and they divided their numbers, several of the men and women and some children settled in another city, where they were promptly installed as rulers by the awe-stricken populace. “Separation did not bring peace to these people and finally their anger reached a point where the ruler of the original city took with him a small number of his warriors and they rose into the air in a huge shining metal vessel. While they were many leagues from the city of their enemies, they launched a great shining lance that rode on a beam of light. It burst apart in the city of their enemies with a great ball of flame that shot up to the heavens, almost to the stars. Could it be that each group recorded their parochial view of what was actually a global conflict among alien colonists or visitors? Or is it that man has led such a violent existence that he tends to expect conflict and violence among even his gods? Only 8,000 years ago, rocks were sculpted in the Tassili plateau of Sahara, depicting what appeared to be human beings but with strange round heads (helmets? or “sun” heads on human bodies?) 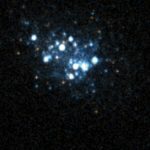 – below image. And even more recently, in the Bible, Genesis (6:4) tells of angels from the sky mating with women of Earth, who bore them children. Genesis 19:3 tells of Lot meeting two angels in desert and his later feeding them at his house. The Bible also tells a rather unusual story of Ezekiel who witnessed what has been interpreted by some to have been a spacecraft or aircraft landing near the Chebar River in Chaldea (593 B.C.). Even the Irish have recorded strange visitations. In the Speculum Regali in Konungs Skuggsa (and other accounts of the era about 956 A.D.) are numerous stories of “demonships” in the skies. In one case a rope from one such ship became entangled with part of a church. A man from the ship climbed down the rope to free it, but was seized by the townspeople. The Bishop made the people release the man, who climbed back to the ship, where the crew cut the rope and the ship rose and sailed out of sight. In all of his actions, the climbing man appeared as if he were swimming in water. Stories such as this makes one wonder if the legends of the “little people” of Ireland were based upon imagination alone. In a sworn statement dated 21 April 1897, a prosperous and prominent farmer named Alexander Hamilton (Le Roy, Kansas, U.S.A.) told of an attack upon his cattle at about 10:30 PM the previous Monday. He, his son, and his tenant grabbed axes and ran some 700 feet from the house to the cow lot where a great cigar-shaped ship about 300 feet long floated some 30 feet above his cattle. It had a carriage underneath which was brightly lighted within (dirigible and gondola?) and which had numerous windows. Inside were six strange looking beings jabbering in a foreign language. These beings suddenly became aware of Hamilton and the others. They immediately turned a searchlight on the farmer, and also turned on some power which sped up a turbine wheel (about 30 ft diameter) located under the craft. The ship rose, taking with it a two-year old heifer which was roped about the neck by a cable of one-half inch thick, red material. The next day a neighbor, Link Thomas, found the animal’s hide, legs and head in his field. He was mystified at how the remains got to where they were because of the lack of tracks in the soft soil. Alexander Hamilton’s sworn statement was accompanied by an affidavit as to his veracity. The affidavit was signed by ten of the local leading citizens. On the evening of 4 November 1957 at Fort Itaipu, Brazil, two sentries noted a “new star” in the sky. The “star” grew in size and within seconds stopped over the fort. It drifted slowly downward, was as large as a big aircraft, and was surrounded by a strong orange glow. A distinct humming sound was heard, and then the heat struck. A Sentry collapsed almost immediately, the other managed to slide to shelter under the heavy cannons where his loud cries awoke the garrison. While the troops were scrambling towards their battle stations, complete electrical failure occurred. There was panic until the lights came back on but a number of men still managed to see an orange glow leaving the area at high speed. Both sentries were found badly burned…one unconscious and the other incoherent, suffering from deep shock. The only way for the pilot to regain flight status was to undergo a psychiatric examination. There was a noticeable decline in pilot reports during this time interval, and a few interpreted this decline to prove that UFO’s were either hoaxes or the result of unstable personalities. It is of interest that NICAP (The National Investigations Committee on Aerial Phenomena) even today still receives reports from commercial pilots who neglect to notify either the Air Force or their own airline. There are a number of cases which indicate that not all reports fall in the hoax category. We will examine one such case now. It is the Socorro, New Mexico sighting made by police Sergeant Lonnie Zamora. Sergeant Zamora was patrolling the streets of Socorro on 24 April 1964 when he saw a shiny object drift down into an area of gullies on the edge of town. He also heard a loud roaring noise which sounded as if an old dynamite shed located out that way had exploded. He immediately radioed police headquarters, and drove out toward the shed. Zamora was forced to stop about 150 yards away from a deep gully in which there appeared to be an overturned car. He radioed that he was investigating a possible wreck, and then worked his car up onto the mesa and over toward the edge of the gully. He parked short, and when he walked the final few feet to the edge, he was amazed to see that it was not a car but instead was a weird egg-shaped object about fifteen feet long, white in color and resting on short, metal leg. The object was out of sight over the nearby mountains almost immediately, and Sergeant Zamora was moving the opposite direction almost as fast when he met Sergeant Sam Chavez who was responding to Zamora’s earlier radio calls. Together they investigated the gully and found the bushes charred and still smoking where the blue flame had jetted down on them. About the charred area were four deep marks where the metal legs had been. Each mark was three and one half inches deep, and was circular in shape. The sand in the gully was very hard packed so no sign of the humanoids’ footprints could be found. An official investigation was launched that same day, and all data obtained supported the stories of Zamora and Chavez. It is rather difficult to label this episode a hoax, and it is also doubtful that both Zamora and Chavez shared portions of the same hallucination. It has also been suggested that at least some, and possibly all of the UFO cases were just mis-interpreted manifestations of natural phenomena. Undoubtedly this suggestion has some merit. People have reported, as UFO’s, objects which were conclusively proven to be balloons (weather and skyhook), the planet Venus, man-made artificial satellites, normal aircraft, unusual cloud formations, and lights from ceilometers (equipment projecting light beams on cloud bases to determine the height of the aircraft visual ceiling). It is also suspected that people have reported mirages, optical illusions, swamp gas and ball lightning (a poorly-understood discharge of electrical energy in a spheroidal or ellipsoidal shape…some charges have lasted for up to fifteen minutes but the ball is usually no bigger than a large orange.) But it is difficult to tell a swamp dweller that the strange, fast-moving light he saw in the sky was swamp gas; and it is just as difficult to tell a farmer that a bright UFO in the sky is the same ball lightning that he has seen rolling along his fence wires in dry weather. Thus accidental mis-identification of what might well be natural phenomena breeds mistrust and disbelief; it leads to the hasty conclusion that the truth is deliberately not being told. One last suggestion of interest has been made, that the UFO’s were plasmoids from space… concentrated blobs of solar wind that succeeded in reaching the surface of the Earth. Somehow this last suggestion does not seem to be very plausible; perhaps because it ignores such things as penetration of Earth’s magnetic field. During the course of treatment hypnotherapy was used, and it yielded remarkably detailed and similar stories from both Barney and Betty. Essentially they had been hypnotically kidnapped, taken aboard a UFO, submitted to two-hour physicals, and released with post-hypnotic suggestions to forget the entire incident. The evidence is rather strong that this is what the Hills, even in their subconscious, believe happened to them. And it is of particular importance that after the “post-hypnotic block” was removed, both of the Hills ceased having their psychological problems. The Hill’s description of the aliens was similar to descriptions provided in other cases, but this particular type of alien appears to be in the minority. The most commonly described alien is about three and one half feet tall, has a round head (helmet? ), arms reaching to or below his knees, and is wearing a silvery space suit or coveralls. Other aliens appear to be essentially the same as Earthmen, while still others have particularly wide (wrap around) eyes and mouths with very thin lips. And there is a rare group reported as about four feet tall, weight of around 35 pounds, and covered with thick hair or fur (clothing?). Members of this last group are described as being extremely strong. If such beings are visiting Earth, two questions arise: why haven’t they attempted to contact us officially? The answer to the first question may exist partially in Sergeant Lonnie Zamora’s experience, and may exist partially in the Tunguska meteor discussed in Chapter XXIX. In that chapter it was suggested that the Tunguska meteor was actually a comet which exploded in the atmosphere, the ices melted and the dust spread out. Hence, no debris. However, it has also been suggested that the Tunguska meteor was actually an alien spacecraft that entered the atmosphere too rapidly, suffered mechanical failure, and lost its power supply and/or weapons in a nuclear explosion. While that hypothesis may seem far fetched, sample of tree rings from around the world reveal that, immediately after the Tunguska meteor explosion, the level of radioactivity in the world rose sharply for a short period of time. It is difficult to find a natural explanation for that increase in radioactivity, although the suggestion has been advanced that enough of the meteor’s great kinetic energy was converted into heat (by atmospheric friction) that a fusion reaction occurred. These are just a few of the reasons. You may add to the list as you desire. In case you are hesitant to extend that concept to the treatment of aliens let me point out that in very ancient times, possible extraterrestrials may have been treated as Gods but in the last two thousand years, the evidence is that any possible aliens have been ripped apart by mobs, shot and shot at, physically assaulted, and in general treated with fear and aggression. In Ireland about 1,000 A.D., supposed airships were treated as “demonships.” In Lyons, France, “admitted” space travelers were killed. More recently, on 24 July 1957 Russian anti-aircraft batteries on the Kouril Islands opened fire on UFO’s. Although all Soviet anti-aircraft batteries on the Islands were in action, no hits were made. The UFO’s were luminous and moved very fast. We too have fired on UFO’s. About ten o’clock one morning, a radar site near a fighter base picked up a UFO doing 700 mph. The UFO then slowed to 100 mph, and two F-86’s were scrambled to intercept. This same basic situation may have happened on a more personal level. On Sunday evening 21 August 1955, eight adults and three children were on the Sutton Farm (one-half mile from Kelly, Kentucky) when, according to them, one of the children saw a brightly glowing UFO settle behind the barn, out of sight from where he stood. Other witnesses on nearby farms also saw the object. However, the Suttons dismissed it as a “shooting star”, and did not investigate. Approximately thirty minutes later (at 8:00 pm), the family dogs began barking so two of the men went to the back door and looked out. Approximately 50 feet away and coming toward them was a creature wearing a glowing silvery suit. It was about three and one-half feet tall with a large round head and very long arms. It had large webbed hands which were equipped with claws. The two Suttons grabbed a twelve gauge shotgun and a .22 caliber pistol, and fired at close range. They could hear the pellets and bullet ricochet as if off of metal. The creature was knocked down, but jumped up and scrambled away. The Suttons retreated into the house, turned off all inside lights, and turned on the porch light. At that moment, one of the women who was peeking out of the dining room window discovered that a creature with some sort of helmet and wide slit eyes was peeking back at her. She screamed, the men rushed in and started shooting. The creature was knocked backwards but again scrambled away without apparent harm. More shooting occurred (a total of about 50 rounds) over the next 20 minutes and the creatures finally left (perhaps feeling unwelcome?) After about a two hour wait (for safety), the Suttons left too. In any scientific endeavor, the first step is to acquire data, the second step to classify the data, and the third step to form hypothesis. The hypothesis are tested by repeating the entire process, with each cycle resulting in an increase in understanding (we hope). The UFO phenomenon does not yield readily to this approach because the data taken so far exhibits both excessive variety and vagueness. The vagueness is caused in part by the lack of preparation of the observer…very few people leave their house knowing that they are going to see a UFO that evening. Photographs are overexposed or underexposed, and rarely in color. Hardly anyone carries around a radiation counter or magnetometer. And, in addition to this, there is a very high level of “noise” in the data. One hypothesis which looked promising for a time was that of ORTHOTENY (i.e., UFO sightings fall on “great circle” routes). At first, plots of sightings seemed to verify the concept of orthoteny but recent use of computers has revealed that even random numbers yield “great circle” plots as neatly as do UFO sightings. There is one solid advance that has been made though. Jacques and Janine Vallee have taken a particular type of UFO – namely those that are lower than tree-top level when sighted – and plotted the UFO’s estimated diameter versus the estimated distance from the observer. The result yields an average diameter of 5 meters with a very characteristic drop for short viewing distances. This behavior at the extremes of the curve is well known to astronomers and psychologists as the “moon illusion.” The illusion only occurs when the object being viewed is a real, physical object. Because this implies that the observers have viewed a real object, it permits us to accept also their statement that these particular UFO’s had a rotational axis of symmetry. Another, less solid, advance made by the Vallee’s was their plotting of the total number of sightings per week versus the date. They did this for the time span from 1947 to 1962, and then attempted to match the peaks of the curve (every 2 years 2 months) to the times of Earth-Mars conjunction (every 2 years 1.4 months). The match was very good between 1950 and 1956 but was poor outside those limits. Also, the peaks were not only at the times of Earth-Mars conjunction but also roughly at the first harmonic (very loosely, every 13 months). This raises the question why should UFO’s only visit Earth when Mars is in conjunction and when it is on the opposite side of the sun. Obviously, the conjunction periodicity of Mars is not the final answer. As it happens, there is an interesting possibility to consider. Suppose Jupiter’s conjunctions were used; they are every 13.1 months. That would satisfy the observed periods nicely, except for every even data peak being of different magnitude from every odd data peak. Perhaps a combination of Martian, Jovian, and Saturnian (and even other planetary) conjunctions will be necessary to match the frequency plot…if it can be matched. In is obvious that intensive scientific study is needed in this area; no such study has yet been undertaken at the necessary levels of intensity needed. Something that must be guarded against in any such study is the trap of implicitly assuming that our knowledge of Physics (or any other branch of science) is complete. An example of one such trap is selecting a group of physical laws which we now accept as valid, and assume that they will never be superceded. The maximum energy, E, which can be obtained from a body at rest is E=mc², where mis the rest mass of the body. Laws numbered 1 and 3 seem fairly safe, but let us hesitate and take another look. Actually, law number 3 is only valid (now) from a relativistic viewpoint; and for that matter so are laws 4 and 5. But relativity completely revised these physical concepts after 1915, before then Newtonian mechanics were supreme. We should also note that general relativity has not yet been verified. Thus we have the peculiar situation of five laws which appear to deny the possibility of intelligent alien control of UFO’s, yet three of the laws are recent in concept and may not even be valid. Also, law number 2 has not yet been tested under conditions of large relative speeds or accelerations. We should not deny the possibility of alien control of UFO’s on the basis of preconceived notions not established as related or relevant to the UFO’s. From available information, the UFO phenomenon appears to have been global in nature for almost 50,000 years. The majority of known witnesses have been reliable people who have seen easily-explained natural phenomena, and there appears to be no overall positive correlation with population density. The entire phenomenon could be psychological in nature but that is quite doubtful. However, psychological factors probably do enter the data picture as “noise.” The phenomenon could also be entirely due to known and unknown phenomena (with some psychological “noise” added in) but that too is questionable in view of some of the available data. A solution to the UFO problem may be obtained by the long and diligent effort of a large group of well financed and competent scientists, unfortunately there is no evidence suggesting that such an effort is going to be made. However, even if such an effort were made, there is no guarantee of success because of the isolated and sporadic nature of the sightings. Also, there may be nothing to find, and that would mean a long search with no profit at the end. The best thing to do is to keep an open and skeptical mind, and not take an extreme position on any side of the question. This is a very broad, all-inclusive subject since the “unidentified” depends on the experience and education of the observer—to an aborigine, an airplane may be “unidentified” while to the meteorologist even such rare phenomena as thousands of reports of “unidentified aerial phenomena” in the past quarter century and a number of these reports are still listed as “unidentifiable.” This may be due to poor reporting, incomplete investigation, or to deficiencies in our understanding of the atmosphere and the universe at large. 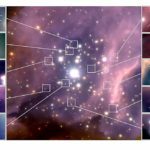 The possibility that our scientific knowledge could be increased by study of these phenomena has led several organizations to explore the subject further. The popular literature uses the more restrictive term “Unidentified Flying Objects” instead of the general “Unidentified Aerial Phenomena.” Although there is insufficient evidence that the phenomena are real physical “objects” or indeed that they are “flying”, we will adopt the popular terminology to avoid confusion. Consequently we will define an “Unidentified Flying Object” (UFO) as any reported aerial phenomenon or object which is unknown or appears out of the ordinary to the observer. 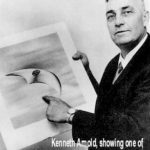 While there are purported UFO reports dating from ancient times, the subject of UFOs really was thrust upon the American public shortly after World War II when Kenneth Arnold on 24 June 1947 reported seeing nine “saucerlike” objects near Mount Rainier. This was the first in a series of UFO reports which has continued to the present. The newly organized U.S. Air Force was assigned the mission of determining if the UFOs represented a threat to the national security. The investigation was conducted under Project Sign, later Project Grudge, and finally Project Blue Book which ended on 17 December 1969. Because of a rash of UFO reports in 1952 and fears that military communications channels could be clogged by enemy instigated UFO reports, a spacial scientific panel chaired by the late Dr. H, P. Robertson was established under government sponsorship in January 1953 to study the UFO problem. The panel concluded that there was no evidence in the available data that UFOs were a threat to national security. These scientists recommended that a campaign be conducted to produce better public understanding of the situation and also to remove the aura of mystery surrounding the subject. This latter goal has not yet been completely achieved. After this, Project Blue Book continued to receive and evaluate UFO reports, but the conclusions reached were not always accepted by “UFO-logists” and the general public. The Air Force was often accused of trying to cover up the UFO problem and of withholding information allegedly indicating that UFOs are extraterrestrial. Consequently, a panel headed by Dr. Brian O’Brien was empowered to review Project Blue Book in 1966. While this commission reaffirmed that there was no apparent security threat posed by the existence of unexplained UFO reports, it suggested that a detailed study of some of the reports might produce something of scientific value. The commission recommended that a few selected universities be engaged to provide scientific teams for prompt investigation of selected UFO sightings. Consequently, in 1966, the U.S. Air Force sponsored a $500,000 investigation led by Dr. Edward U. Condon of the University of Colorado to make a scientific investigation of UFOs, not necessarily to identify UFOs but only to determine if there is scientific merit in the study of them. In any scientific investigation, we establish an hypothesis or hypotheses, collect data, analyze the data in light of our hypotheses and then refute or confirm our hypotheses or conclude that we have insufficient data to do either. 2. Hallucinations, mass hysteria, rumor phenomena. 4. Lay misinterpretations of well understood physical phenomena. 5. Poorly understood physical phenomena. 6. Poorly understood psychological phenomena. 8. Messengers of salvation and occult truth. Let us examine each of these in light of the data collected over the past twenty-plus years. Hoaxes, fabrications, and frauds. 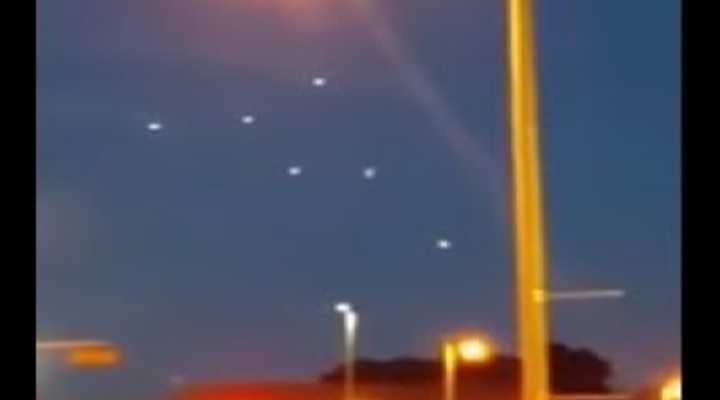 There is no question that some UFO reports are hoaxes, fabrications, and frauds perpetrated by persons playing pranks with candles in plastic cleaning bags, persons faking photographs, persons seeking notoriety or recognition, and practical jokers. The UFO literature is replete with examples of all types. However, confirmed hoaxes are only a small percentage of the total number of UFO reports, Most reports are by reliable witnesses and show no evidence of fabrication or fraud. Hallucinations, mass hysteria, rumor phenomena. There is evidence that UFO reports occur in waves and that a rash of sightings in a localized area may be due to increased public sensitivity to an initial report, Some reports received at these times may indeed be inspired by the increased attention to UFOs and not true sightings at all. However, the large number of multi- observer reports from independent observers, and reports from military personnel, airline pilots, policemen, scientists and other qualified witnesses makes it unlikely that many UFO reports are the results of hallucinations, mass hysteria, and rumor phenomena. Psychologists and sociologists are unable to estimate what portion of UFO reports may be due to such causes but analysis of the credentials of witnesses in most reports would indicate that the number must be small. 3. Advanced terrestrial technologies (e.g. test vehicles, satellites, re- entry phenomena, secret weapons). The noted space scientist Arthur C. Clarke has observed that any sufficiently advanced technology will appear indistinguishable from magic. Thus advanced terrestrial technologies are certainly the cause of some reports. The reported characteristics of UFOs do not appear to have changed markedly over the years while man has made great technological progress. Thus while some current UFO reports may be attributable to space vehicle re-entries or satellite launches, the reports in the forties and early fifties cannot be attributed to these causes. Similarly, advanced weapon systems in the development and test stages (secret weapons) now would give rise to a different type of UFO report from those of earlier eras. The variety and world-wide distribution of UFO reports make it unlikely that the reports are due to sightings of products of an advanced terrestrial technology. Lay misinterpretations of well-understood physical phenomena(e.g. meteorological, astronomical, optical). From our definition of UFOs it is obvious that a large number of reports will fall in this category. Misidentification of aircraft landing lights, blinking and flashing lights during aerial refueling operations, weather balloons, meteors, movements of the planets Venus and Jupiter, searchlight reflections on low cloud ceilings and lens flares in photographs are a few possibilities. Every action must have an equal and opposite reaction. b.Every particle in the universe attracts every other particle with a force proportional to the product of their masses and inversely as the square of the distance between them. c. Momentum and mass-energy are conserved. d. No material body can travel at c, the speed of light in free space. To date these laws have enabled physicists to predict and control many phenomena for practical purposes. They can also be valuable in analyzing UFO reports. The details in most UFO reports do not cause any conflict with these laws and lead us to conclude that UFOs may well just be misidentified ordinary phenomena. However, some reports seem at variance with one or more of these laws, leading us to question either the reliability of the UFO reports or the reliability of our physical laws. Since our physical laws are more firmly established both in theory and by experiment, the validity of the physical law is usually a more acceptable alternative to the scientist. We must realize, however, that any physical law may be subject to change with the discovery of new evidence. Poorly understood physical phenomena(e.g. rare atmospheric electrical effects, cloud phenomena, plasmas of natural or technological origin). 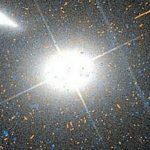 Attempting to explain UFO reports by some poorly understood phenomenon is risky at best, and probably is impossible until the phenomenon is better understood. Lenticular clouds as explanations for certain UFO reports may be on firm grounds, but attempts to explain UFOs in terms of mirages, ball lightning (a sphere-shaped plasma blob usually associated with electrical storms), atmospheric inversion layers, or anomalous propagation of radar signals are much less tenable. Some UFO reports may be explainable by these phenomena, but it is impossible to make positive identifications based on our present limited understanding of the phenomena. Consequently, all such explanations should be considered only tentative. There may be still other atmospheric phenomena which are observed so rarely that they remain uninvestigated and unnamed. Poorly understood psychological phenomena. Psychologists are the first to admit that there are many aspects of psychic phenomena that have not been adequately explored. Few data are available to determine how these phenomena may relate to the UFO problem, but we must at least allow for the possibility that there may be some effects. Extraterrestrial visitation. Dr. Condonstates in the summary of Scientific Study of Unidentified Flying Objects that convincing and unequivocal evidence of extraterrestrial visitation would be the greatest single scientific discovery in the history of mankind. While this may be a slight exaggeration, it at least points out why this hypothesis adds so much excitement and controversy to the UFO problem. Despite numerous UFO reports concerning purported space vehicles and alien visitors, there remains doubt as to the veracity of these reports. Such reports do, however, contain a number of strange elements that are verifiable. One would prefer hard evidence in the form of a tail fin, a jettisoned propulsion unit, a crashed UFO, several good photographs, etc. Such physical evidence does not seem to exist, despite stories to the contrary. Several scientists have concluded that the priori probability of extraterrestrial visitation appears to be exceedingly low in terms of present scientific knowledge. 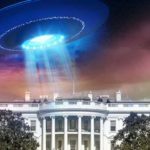 Although no conclusive proof as to the validity of this hypothesis can be drawn from the evidence at hand, a panel of the National Academy of Sciences has concluded that on the basis of present knowledge, the least Likely explanation of UFOs is the hypothesis of extraterrestrial visitations by intelligent beings. Messengers of salvation and occult truth. Certain cults have adopted the belief that the mission of UFOs is spiritual and that all Physical efforts to determine the nature of UFOs must necessarily fail. While such may be the case, evidence to support it is clearly lacking. Further discussion of this hypothesis is beyond the scope of this text. Having presented the arguments for each of the hypotheses, possible conclusions are now considered. It is apparent that no single hypothesis can account for all UFO reports. Hypotheses 1, 2, 3, and 4 are obviously valid and, as a group, account for a large number of UFO reports. However, the evidence is insufficient to conclude that all UFO reports can be attributed to these causes. Hypothesis 8 is unlikely to yield to any form of scientific analysis, so we eliminate it from further consideration. If hypotheses 5, 6, and 7 are scientifically the most interesting since they offer the possibility of new knowledge about ourselves and our environment. As indicated above, hypotheses 5 and 6 require additional research on poorly understood phenomena before conclusions can be reached as to their bearing on the UFO problem. At this time, there appears to be insufficient evidence available to either confirm or refute hypothesis 7. One additional note of caution must be included at this point. In most of this chapter, we have discussed primarily the scientific implications of the UFO question. However, the Lorenzens contend that UFOs are primarily an emotional problem, secondly a political problem, and only incidentally, a scientific problem. They feel that when the emotional and political problems have been resolved, the entire UFO problem will yield to scientific investigation. Is such scientific investigation likely to be conducted? At least one major scientific study has been made. Dr. Condon and his University of Colorado Project ended their Scientific Study of Unidentified Flying Objects in late 1968 with the general conclusion that nothing has come from the study of UFOs in the past two decades that has added to scientific know-ledge and that further extensive study of UFOs probably cannot be justified in the expectation that science will be advanced. This conclusion and the entire report were endorsed by a select panel from the National Academy of Sciences. Consequently there is presently no official government agency investigating UFO reports. Dr. McDonald and several private UFO investigative agencies have decried alleged inadequacies of the Condon report and Project Blue Book and urge that the entire subject be re-investigated. Specifically, Project Blue Book, during its existence, was criticized for superficial investigation of UFO reports, low level of scientific competence among its personnel, and unreasonable explanations concerning specific UFO reports. Criticisms of the Condor report include the contention that the conclusions reached are not supported by the bulk of the evidence in the report itself and that the firing of two staff members for “incompetence” before the completion of the final report raises questions concerning the objectivity and completeness of the study. While some of the criticism may possibly be justified, it is unlikely that any new official scientific studies will be forthcoming, primarily because the conclusions of the Condon report have been so widely accepted. The UFO problem must now compete on its scientific merit with all the other pressing scientific problems facing mankind. To receive attention from scientists and the requisite economic support, the potential rewards from UFO research must be shown to be commensurate with the resources expended. Although the Condon committee cautioned that nothing worthwhile was likely to result from such research, it suggested that all of the agencies of the federal government and private foundations should be willing to consider UFO research proposals along with the others submitted to them on an open minded, unprejudiced basis.